The Unique Identification Authority of India (UIDAI) has launched the mAadhaar app for Android. The mAadhaar ‘mobile Aadhaar’ app will allow users to carry their Aadhaar demographic information, i.e. name, date of birth, gender, address and the photograph linked with their Aadhaar number, on their smartphones. The mAadhaar app is currently available only for Android but it will soon be available for iOS too. There are some key features which I think you must know about that’s why below I have listed 5 Features You Must Know About mAadhaar App for Android. This post includes the following topics related to mAadhaar app for Android. mAadhaar app features, mAadhaar app best features, top mAadhaar app features, how to use mAadhaar app features, mAadhaar features, top 5 mAadhaar app features, top 10 mAadhaar app features, mAadhaar app cool features etc. 1. Aadhaar Number Holder profile download – The will provide a convenient way to carry Aadhaar number with all of your demographic details so you can present that anytime, anywhere. 4. Update of profile – An updated view of Aadhaar profile data after successful completion of the update request and they will even be able to share QR code and password protected eKYC data to retrieve accurate demographic information from it instead of manual entry. Note for Users: Registered Mobile Number is essential to use mAadhaar app. In case your mobile number is not registered with Aadhaar visit the nearest Enrolment Centre/Mobile Update End Point. 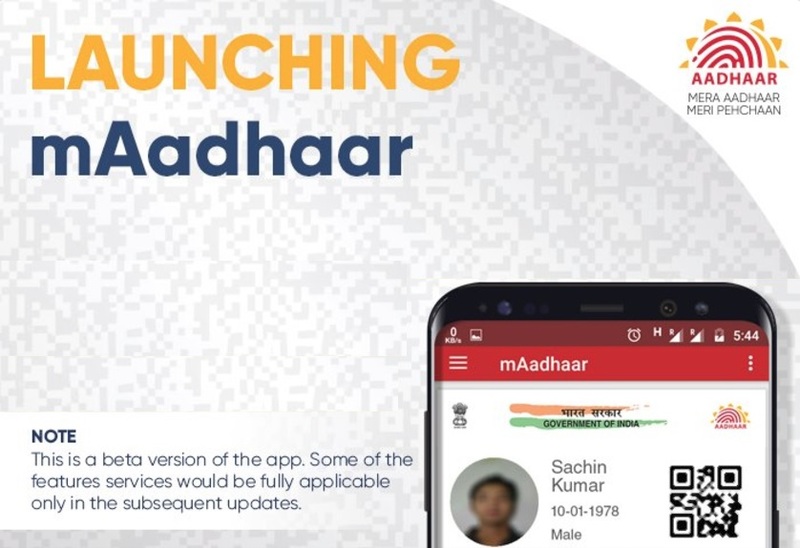 The app is currently in beta, as the picture shared by UIDAI in its announcement tweet shows, when it’s in beta chances are that you might find some errors and bugs on the app but you could expect them to be resolved soon with the future updates of the apps.